25th Anniversary Celebration is a great success! Nearly 400 guests from different faiths and cultural backgrounds attended Luton based GRASSROOTS Programme’s 25th Anniversary Celebrations on 22nd March 2018. As an ecumenical Christian programme of community engagement, GRASSROOTS has been delivering with and alongside other Churches and other faith communities, a wide range of programmes enhancing community cohesion and developing positive relationships locally, nationally and internationally. Attendees included past and present 'Partners in Mission', trustees, staff, partners, supporters, funders, friends, family and more! In the opening act, a candle was lit by 4 different Christian denominational leaders signifying the work of GRASSROOTS which is about lighting a candle rather than cursing the darkness. 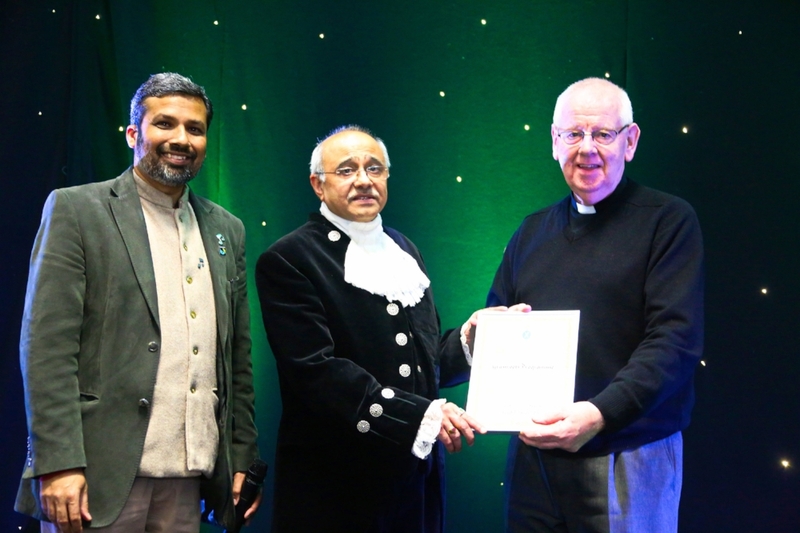 HM Lord-Lieutenant of Bedfordshire Helen Nellis and Mayor of Luton Cllr Mohammad Ayub congratulated GRASSROOTS and High Sheriff of Bedfordshire Mr Vinod Tailor gave the prestigious High Sheriff Award to GRASSROOTS in recognition of its services. 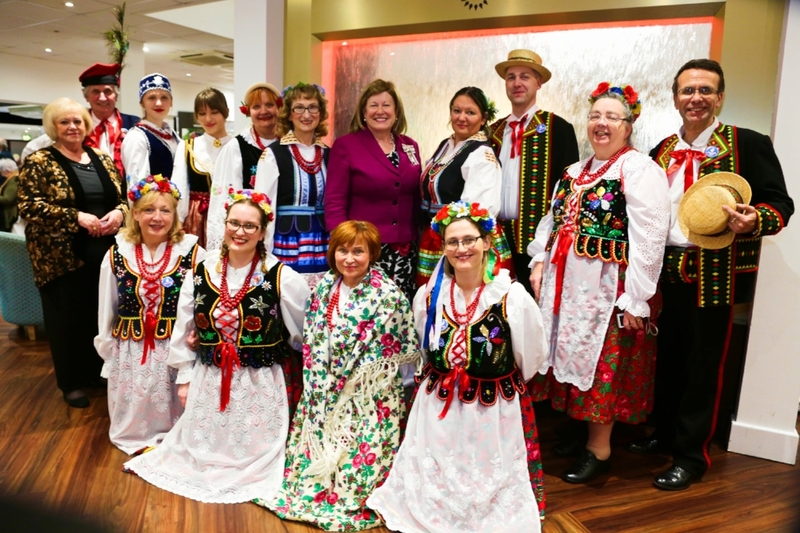 The evening’s celebrations were enriched by the very lively and colourful Indian (Gujarathi), Polish and Zimbabwean Folk Singing and Dancing, along with a Circle Dancing display provided by a member of the GRASSROOTS team and other dancers. In marking the celebrations, GRASSROOTS Team gave away, besides its Souvenir booklet, report and newsletter, also the small jars of locally produced ‘Peace Honey’, packs of Bee friendly seeds, and a small Fairtrade Candle for people to light to defeat darkness wherever they are. It was all funded by Awards for All from the Big Lottery Fund and the Bedfordshire & Luton Community Foundation. Event sponsors were Bedfordshire Police, The Mall Luton, Bartham Group, Vauxhall, Friends of the Earth, BEH District of The Methodist Church and the Roman Catholic Diocese of Northampton. We thank them all for kindly sponsoring our 25th Anniversary Celebration and making it possible! David Jonathan, Director, GRASSROOTS, pondered in his reflection over the increasing (not just religious but also) political fundamentalism, majoritarianism and general intolerance and committed not to be a commentator or spectator rather become an active participant. Click here to see many more photos of the night! Newer:GRASSROOTS Documentary - 25 Years in 25 Minutes is out now!Older:Fairtrade Fortnight Faith Communities Campaign - Help us to fight hunger in Luton!